Not sure how to pull off the mom jeans trend? We’ve got you covered with these cute outfit ideas. I have to admit that I was a little skeptical when I heard that mom jeans were making a surge in the style world this season. Who hears that phrase and immediately starts thinking high fashion? But the more I’ve seen these jeans in the blogosphere and street style photos, the more convinced I become. 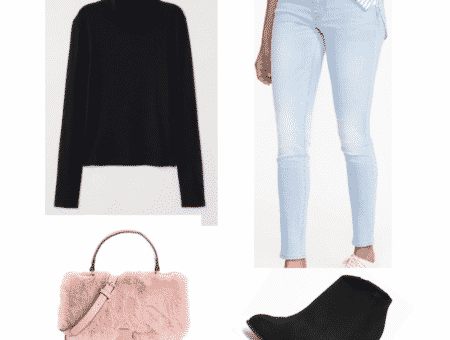 Mom jeans are different than the ubiquitous skinny jeans that fill all of our closets, they stand out from the boyfriend jeans that have become so popular lately, and they’re comfortable. What’s not to love? For these reasons, I decided to feature mom jeans for this week’s Class to Night Out post. Below, I’ll show you two ways to style these pants – one look for class, the other for a night out. 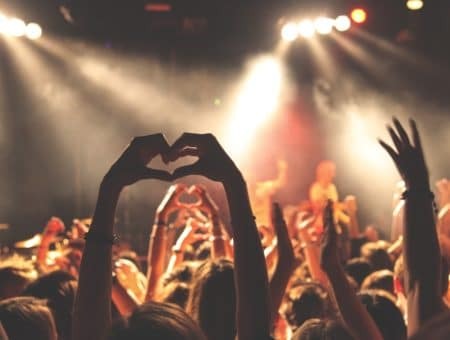 If you’re interested in giving this trend a try, read on! 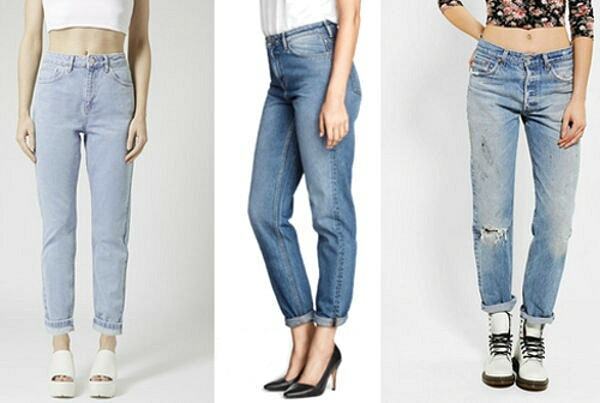 To really get the full ’90s vibe of these jeans, pick a light wash pair. Start by tucking in a simple striped shirt, then add a splash of color with a fun, printed scarf. Heeled booties are casual enough for class while adding a little polish to your look. As far as jewelry goes, all you really need is a pretty bracelet to add some sparkle. 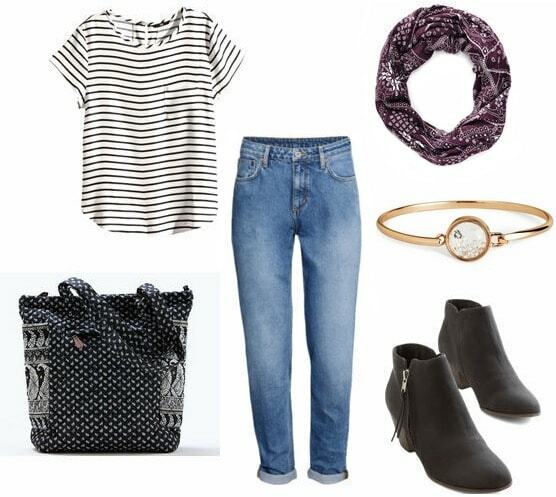 Finish off your look with a roomy tote bag; the paisley print of this one even matches the scarf! For a night out, stick with the ’90s motif by pairing your mom jeans with a floral print crop top. Bold, coral-colored wedges look great under the cuffed ankles of the jeans. For jewelry, try brightly-colored earrings and a statement-making ring. Grab a crossbody bag in a coordinating color, and you’re set for the night. What are your thoughts on mom jeans? Would you wear them with any of the outfits featured above, or would you style them a different way? 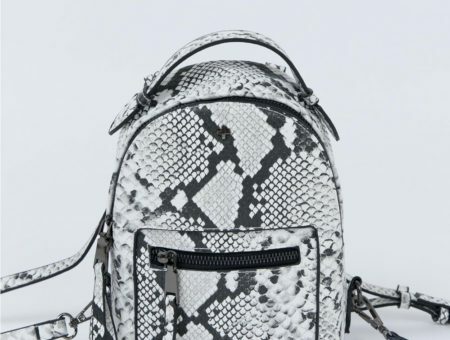 Do you have any pieces you’d like to see styled for both class and a night out? I’d love to hear from you in the comments!